At the heart of the Halifax-based group Gypsophilia lies a deep-seated desire to push musical boundaries. 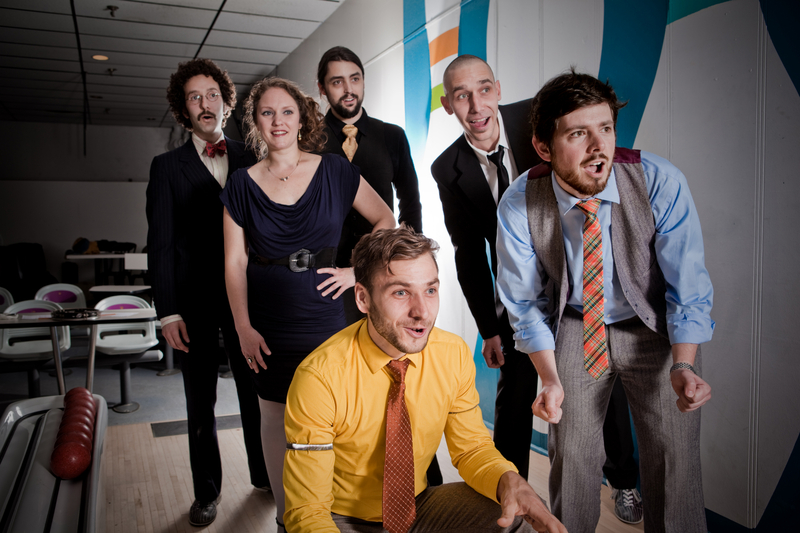 Over the course of their three full-length records, the group has mixed gypsy jazz music with klezmer, funk, classical music and indie rock, creating a truly original sound. The group has become a formidable touring outfit, travelling throughout North America, performing many sold-out shows along the way. Gypsophilia’s show at Moncton’s Capitol Theatre Thursday is one of four shows that the group will perform in the province. Although he can’t quite put his finger on what it is, Gypsophilia’s Ross Burns says there is definitely an energy and enthusiasm among their New Brunswick fans that is unique. Formed in 2004, the seven-piece Gypsophilia originally came together for a Halifax Jazz Festival performance where they were paying tribute to famed guitarist Django Reinhardt. Although many in the group had experience performing in a band, coming together as Gypsophilia was a bit of a different experience. “In some cases, some of us in the band were acquaintances but in other cases, some were complete strangers to one another,” Ross says. “We were not thinking of any kind of long-range plans. I think that each of us just wanted to step up to the plate and do some justice to the music of Django Reinhardt. The group went on to become a phenomenon in their hometown. Gypsophilia would regular rent out halls, throwing sold-out swing dance parties. After a few years of refining their live show and building a fan base, the group recorded and released their first album, Minor Hope, in 2007. The album would earn the young band both East Coast Music Award and Music Nova Scotia Award nominations. In 2009, Gypsophilia released Sa-ba-da-OW!, their sophomore record. The album won two East Coast Music Awards (Jazz and Instrumental Album of the Year) as well as a Music Nova Scotia Award for Jazz Album of the Year. Their third record, Constellation, was one of their most definitive musical statements to date. Recorded at Montreal’s hotel2tango studio with acclaimed producer Howard Bilerman (Arcade Fire, Bell Orchestre, Stars), the album’s 11 energetic tracks were captured live-to-tape. Because the group performs instrumental music and also plays without a drummer, Ross says that they have had to continually innovate to make their music tell the story that a vocalist normally would. “We have always been an instrumental band,” he says. “We never thought that the lack of having vocals in the group left a gaping hole in the band. Ross says that later this year, the band will begin recording their next full-length effort. As they narrow down whom they want to work with and where they will record, the group is letting spontaneity be their guiding light. At a time when music can be technically perfect but lack any real type of soul, Ross says the band is taking inspiration for their new music wherever they can find it. “The great thing about the band is that there are seven composers in the group, meaning there are seven potential directions that the music can go. It all depends on who is behind the song,” he says. “Our ultimate goal is to not repeat ourselves. We love each of our past records but have no interest in re-making any of our previous albums. “A lot of what we discover works best for the band is to perform the music live and see where it takes us. We love the spontaneity aspect of playing new music live and bringing that into the studio. When: Thursday, March 20, 7:30 p.m.